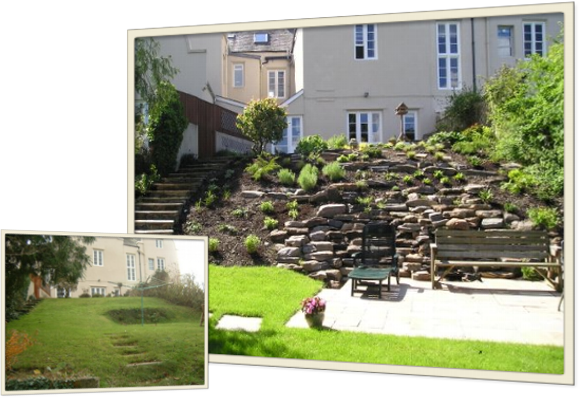 As well as offering a variety of landscaping services we also offer a complete customised 'garden design' service. Excellent service and competent workmanship... Thoroughly recommended. 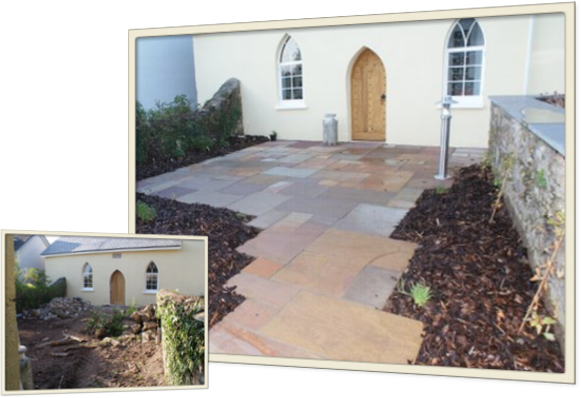 Greg's Garden Services provides a complete and bespoke garden landscape and maintenance service for both domestic and commercial customers. 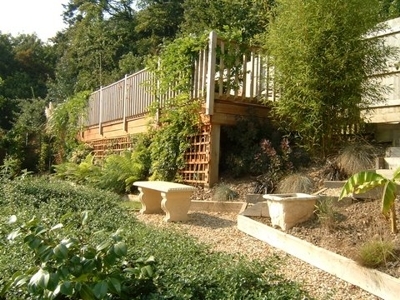 Greg’s Garden Services was started by Gregory de Freyne-Martin, in March 2000, with the aim of creating gardens in which people could relax and call their own. 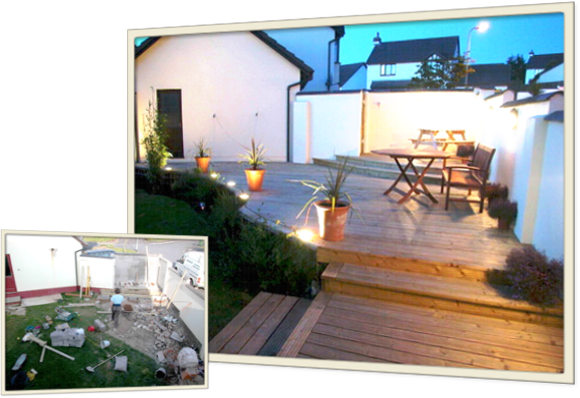 We aim to take the work out of your garden leaving you a beautiful space to enjoy. We specialize in the construction of unique and personal gardens that are low maintenance but full of colour and interesting planting and structure. 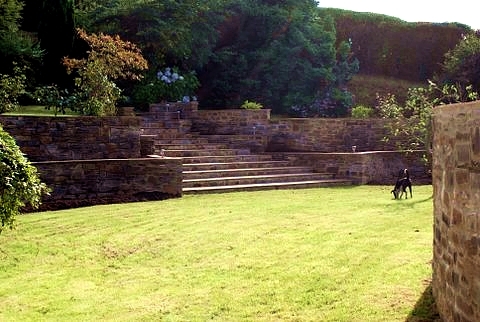 Using our landscaping service, we can build your garden to include walls, patios, decking, pergolas, rockeries, water features, fences, in fact anything you want we can build. 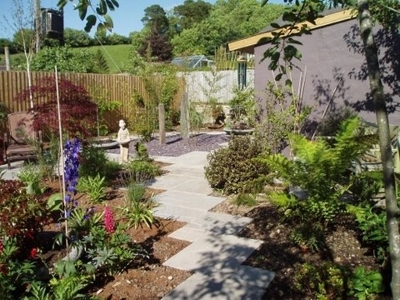 Plants are our passion and we can create planting schemes as well as source and plant pretty much anything you desire. We are always happy to work with new designers or build from plans that you may already have. Our garden maintenance service will take the toil out of gardening, as well as offering specialist advice in all aspects of gardening. 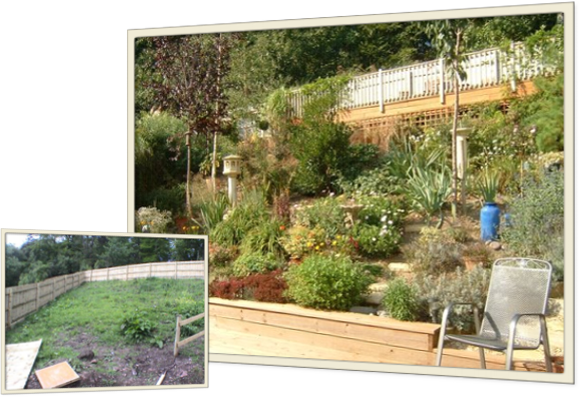 If your garden is a jungle we can clear it, tame it and restore it to a place of beauty. Based in Westward Ho!, we cover Bideford, Barnstaple, and North Devon. 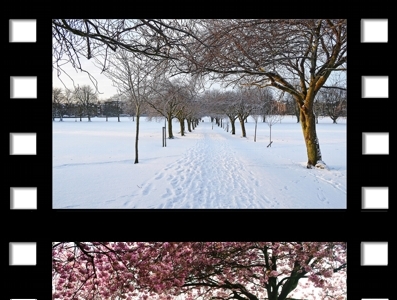 For a free, no obligation, consultation, give us a call on 01237 472057.